Bicycle desks will help bring focus and exercise to Cambridge classrooms as well as improve the physical and mental health of students. It is difficult to incorporate physical activity into an already packed school day. 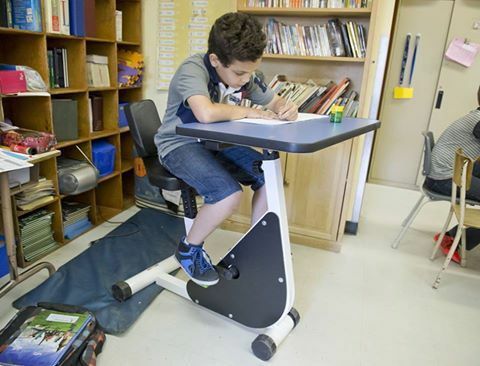 Bicycle desks result in better student engagement for classroom discussions and allow students to exercise and energize themselves while listening, reading, and fulfilling classroom responsibilities. Bicycle desks are needed because they keep kids engaged and give them access to more exercise. These desks appeal to students and help them maintain health and well-being. Several studies show that it is unhealthy to sit for extended periods of time. We propose 15 bikes per school at $1,500 per bike for a total estimated cost of $113,000. I think the bikes would also need to power the classroom lighting!